Hardening Furnace is electrically heated that comes with automatic temperature control features and used for annealing of ferrous and non-ferrous materials. These are made of various grades of ceramics and refractories at our in-house facility. Meta Therm Furnace Pvt. 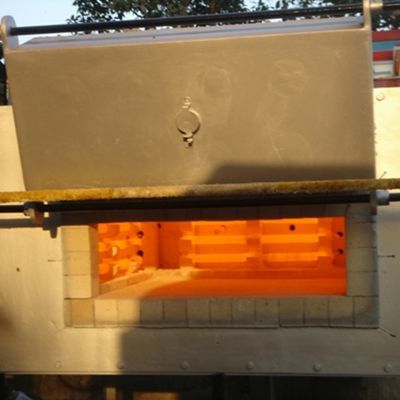 Ltd is one of the preeminent Hardening Furnace Manufacturers In Mumbai. We have products in our catalogue, customized to the needs of every client. Excellent Temperature Distribution: Offered Vacuum Hardening Furnace ensures even distribution of temperature for the optimum performance and better results. Have Wide Application Area: These industrial furnaces are designed to be used in Hardening, Annealing, Tempering, Sintering and several other applications, depends on heating and cooling needs. Temper-Proof Body: The overall body of the furnace is made with quality steel or other components, which guarantee their durable performance with minimum need for maintenance. If your process needs a furnace, you can contact us. As one of the eminent Continuous Hardening Furnaces Exporters and Suppliers in India, we put our best to bring you the product that gives you value for your money. Send us your enquiry directly from the website or call us on the given numbers.